Today, plumbing is more than just installing pipes, bathroom fixtures, faucets, or repairing broken pipes. Advancement in technology has brought about several innovations in the plumbing industry. Now, there exist several sophisticated ways of carrying out necessary plumbing repairs, installing new plumbing systems, and so forth. In fact, professional plumbers now install smart plumbing devices in homes. Hence, a lot of homes now boast of a fully automated plumbing systems including tankless water heaters, adjustable showerheads, self-cleaning toilet devices, and so forth. A1 Service Plumbing, your dependable Orlando emergency plumber brings you some of the latest trends in the plumbing industry. The emergence of tankless water heaters has helped in reshaping our idea of what a proper water heater should look like. Also known as on-demand water heaters, tankless water heaters only supply hot water when needed. This help in reducing heating energy since there is no need to retain heated water. Hence, they are environmentally friendly. By installing the right tankless water heater in your Orlando home, you will be deriving several benefits both for comfort as well as energy savings. Have you ever imagined the possibility of not having to manually scrub your toilet? As a matter of fact, we all hate scrubbing the toilet. This is a really disgusting chore we try as much as possible to avoid. We only do it to prevent toilet diseases and infections. The good news is there are now self-cleaning toilet devices on the market today that can help handle this dirty job. All you need to do is to install the device in the tank on the refill valve. Once this is done, the device takes care of all your toilet scrubbing. In order to prevent environmental pollution, the plumbing industry now seeks for innovative concepts that can help conserve energy. Some of the eco-friendly plumbing solutions now available in both residential and commercial buildings including re-routing gray water for gardening or watering of trees, upgrading to low-flow fixtures, and so forth. You can hire a professional Orlando Plumber to help install any of these eco-friendly plumbing solutions in your Orlando FL home or workplace. Another innovation gaining recognition in the plumbing industry in trenchless technology repair solution. Trenchless technology offers a way for homeowners and residents to repair their damaged or faulty plumbing system without any need to excavate their yard. In trenchless repairs, the internal section of the damaged or broken pipes are relined using epoxy or polyethylene pipelines. This saves homeowners a lot of money since there will be no need to hire a large amount of labor or buy new pipes. Above all, lining pipes help to increase water flow in the plumbing system. Compared to traditional pipe replacement method, trenchless technology solutions are cost-effective and time-saving. There you have it! The above are some of the new trends existing in the plumbing industry today. Try not to remain left behind by adopting any of these trends now. Is your plumbing system damaged or broken? The moment you notice any plumbing anomaly in your home be it leaking pipes, malfunctioning water heater, water spill, damaged taps, sewage backup, etc., do not hesitate to get in touch with us at A1 Service Plumbing. We remain your reliable Emergency Plumber Orlando that promises to respond to your call and provide a fast, effective, and long lasting solution to your recurring plumbing issue. With us, your plumbing issue will become a thing of the past. We guarantee you outstanding Orlando plumbing services. When it comes to plumbing, there are measures you can employ to prevent your money going down the drain. While it is important that you fix your drainage system using plumbing, it is also unnecessary to waste money on a problem that you can fix at little or no cost at all. Not only does this problem cause havoc to your home through leakages, clogging, sewer or septic issues, it can also take a large chunk of money out of your pocket. In order to forestall this from happening there are few ways, you can use to carry out plumbing without spending huge. Here are tips to carry out preventive maintenance during plumbing in homes. Most homeowners procrastinate on fixing little issues with a pipeline system at home. They show a tendency of putting off attending to that faucet dripping water or the drain that is showing a slower pace of getting the wastewater flushed out. You need to attend to these issues as dawdling to attend to them is tantamount to a bigger issue or creating a catastrophe in your home. Hairs and other debris can pose a lot of threat to your home’s sewer line and your pocket as well. Overtime accumulation of disposed of hairs and other debris through drainage pipes would create a huge lump mass of hair and debris, which will eventually prevent passage of wastewater through the pipeline. This can be evaded by not discarding hairs and other debris through the drainage system. There is no doubt the aesthetic enhancement trees can have in one’s home. But have you thought of what it can cause to your home’s plumbing lines? Trees can through its roots intrude into your sewer lines and disrupt its function. It will be a prudent move against forking out a fortune to manage this by removing trees that pose a threat to your plumb lines in the first place. Many homeowners see fats and oils as wastes that don’t pose a threat to the plumb lines. When fats and oils travel down sewer lines, they solidify and reside in the pipelines situating on the walls. Over time they grow in mass with the addition of other solidified fats and oils poured down the drain. This lump of solid fats and oil get to clog the drainage. This automatically means spending a lot to fix this pipeline. You can prevent this by not pouring fats and oils down the drainage system. Rather, use a heat-resistant system to solidify the fat and oil before discarding it into a waste bin. The winter months are often accompanied by extreme cold. Water in the pipelines become frozen. Pipelines are bound to crack and burst when frozen. You can prevent a pipe from freezing by insulating its body. By insulating the body of your piping materials, you will prevent the extreme external weather condition from interfering with the wastewater being conveyed by the pipes. The above are a couple of tips to help maintain your piping system. A1 Service Plumbing is your reliable Emergency Plumber Orlando, 24 Hour Plumber Orlando that is always ready to help repair, maintain, and service your plumbing system. Our aim is to help you reduce how much you spend on plumbing repairs and ensure that your plumbing system is in top notch conditions. These tips have countless times proven to be effective and we really hope they will help you prevent plumb line issues from gobbling up your cash. For your plumbing in Orlando, call us today for a plumbing evaluation on your home. We are your distinguished Orlando Emergency Plumber that guarantee outstanding services. While some people feel that the plumbing system in their home is one big mystery that cannot be toyed with by amateurs, some other individuals take it for granted. It is necessary to have a basic knowledge of the plumbing system so as to perform some simple routine in maintenance practices that will ensure that water and sewage flow through the pipes as they should. Being able to fix anything relating to your plumbing system starts with an understanding of how the system works. Unfortunately, there are several myths which people have constantly peddled to the extent that they appear like facts. It is pertinent, therefore to address these myths. The following are the biggest ones and we will address them adequately to help you know the truth. Making the faucet handle too tight is not good, but people erroneously believe the exact opposite. This, in fact, is the number one cause of leaks and it can even lead to breakage of pipes. Mild tightening of the handle is ideal. People tend to believe a leaky faucet is no big deal and can wait. There are several reasons why you shouldn’t put off quick repair of a leaky faucet. 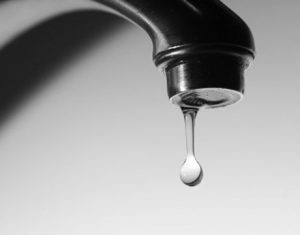 A leaky faucet may be a sign of other problems and has the potential of causing other problems too. Fixing it in time, therefore, is important so as to prevent further problems. Often, people insist that with enough, most of the things they are advised not to let into the sink can actually be disposed of. Nothing can be further from the truth. So many little kitchen wastes like meat fat, oil, pasta, potato peels, eggshell’s membrane, etc. can eventually coat the disposal grinder and become an exude offensive smell. People often fail to understand that both low and high water problems are signs of other problems. Dismissing fluctuations of water pressure can lead to the escalation of other problems that may be hidden. A plunger is a great tool that can be used to get rid of clogs. Some people believe that this tool can handle all forms of clogs. This is not true as some clogs caused by sturdy and stubborn materials may not be easily removed with a plunger. Plumber snake can be an alternative if plunger does not work in a certain situation. When both fail, hydro jetting should be considered. There are several wipes people consider as flushable. The truth is, not all wipes are biodegradable and can eventually plug a toilet. It is only advisable to flush only wipes that are recommended. People consider it unnecessary to inspect their water heaters. This is due to the erroneous belief that water heaters can’t explode. This is not a fact. If the valve’s airflow of your heater is blocked or the valve is damaged, and steam has no way of escaping during heating, an explosion can occur. There is a big difference between a qualified plumber and a handyman. A plumber has a license earned after about four years of apprenticeship and nine years of field training. A handyman is not so licensed and some states make it illegal for a handyman to provide plumbing services. It is dangerous to toy with your plumbing system. It is best to have an expert perform the complex task of installing and maintaining your plumbing system. For your residential and commercial Orlando plumbing needs, A1 Service Plumbing remains the perfect fit to get the job done. For several years now, we have been providing outstanding plumbing services to homes and businesses in Orlando FL, and nearby cities. All our services are carried out with a high level of professionalism. Even if you are looking for an Emergency Plumber Orlando, let us be your first point of call. Our well-trained team of expert Orlando Plumber will respond to you and provide fast, effective, and long lasting solution to your emergency plumbing issues. Call A1 Service Plumbing today for your emergency plumbing issues. At some point or the other, chances are, an emergency plumbing issue may arise in your home. What do you do in a situation like this? It is very important for you to know what to do in case of an emergency plumbing issue. This will make it possible for you to be able to protect your home and belongings after the occurrence of the plumbing issue. Most people usually panic when there is an emergency plumbing issue. It is very important that you keep your cool in order to take charge of the situation. Tackling a plumbing issue can be an incredible DIY hobby for most homeowners. Just a couple of steps and you will fix everything back to normal. Notwithstanding, it is still important that you call on a professional Orlando Emergency Plumber to offer a long lasting fix. In the meantime, you should still carry out some actions to control the issue and limit the damage it will likely cause to your home. Whether you have leaking pipes, broken pipes, blocked toilet or faucet, blocked drain, leaking tap, once you notice the plumbing issues, the first thing to do is to turn off the water source. For toilets, simply turn the valve behind or at the base of your commode. For larger emergencies issues, turn off the main valve supplying water to your home. All you need to do to shut off the water is to turn the water valves clockwise. When you have an emergency plumbing issue, consider turning off the water heater in your home. This will prevent the unit from getting damaged. Do this after shutting off the main valve. This will prevent heat from rising up in the water heater. It will also prevent overheating or bursting. After identifying small leaks, take necessary steps to stop them before they turn into a bigger issue. Ensure that your toolbox always has some plumber’s tape. This will make it quite easy to stop the leak. You can also make use of rags and towels, by stuffing them around pipes. Place a bucket under any dripping leaks. It will help prevent further damages to your building or property. Even after shutting off the main water supply, there are chances that water will remain in the pipes. Open drains and spigots outside of your home to move the water away from potential damage areas. If there occurs a small clog or backup while doing this, open up the drain by making use of a plunger. It is not advisable for you to use chemical cleaners in your pipes. They may damage the pipes, and cause further leaks or damages. These above tips will help save your home, valuable belongings, and get you in the right state of mind to tackle any emergency plumbing issues in your Orlando, FL, home. The best way to effectively handle any emergency plumbing situation is to be prepared. Even after carrying out all the steps earlier mentioned, it is still important that you call a professional plumber to take a look at the issues, and provide an appropriate solution. Consider that what you did was just a quick, “first aid”, emergency fix. You need an expert Orlando Emergency Plumber to provide an effective, long-term fix to your emergency plumbing issue. For your Emergency Plumbing in Orlando, always call on A1 Service Plumbing to get the problem fixed. We are a reliable, Orlando Plumbing company that is always ready to provide a quick, effective, long lasting solution to your frequent plumbing issues. Kindly get in touch with us at A1 Service Plumbing. Our team of highly experienced plumbers are always working round the clock and ready to offer solutions straight away.